Although the pug will adapt well to many different lifestyles and living situations, they are not so versatile when it comes to temperature. Due to their smushed-in face and stocky body, they can overheat very easily. It is important to always supervise your pup when they are outside in general, but especially in warmer climates. Be sure to keep an eye on them indoors as well, as to make sure they are not running around or exercising for a long period of time since that can also lead to overheated Pug. Luckily, they do not require an excessive amount of exercise, and as long as they are getting at least a little bit of exercise every day, they will remain as healthy as they can be. Daily walks are a good way to work out your dog, along with little indoor games and free runs of a fenced in yard, or park. While on your daily walks, having your dog on a leash is recommended for complete safety, and it is important to make sure you are following proper “leash-walking” procedures, meaning you should be walking the dog, not the other way around. With all this being said, it is equally as important to monitor your pup to make sure they are not overdoing or overworking themselves. If you start to notice noises such as wheezing, or snorting, it is best to call it quits with the exercise for that day. This breed make great family pets and get along with everyone. They take after their owner’s lifestyle and are able to adapt to any situation or living area, but they thrive in moderate temperatures. This is a breed that is eager to please, but also demands and requires a lot of attention itself. Pugs are known to be called “shadows,” since they have the tendency to follow their owner very carefully. Keep in mind that these dogs were bred as companion dogs, so that is exactly what they do best. If you think a Pug might be the right addition to your family, you can be guaranteed to fall head over heels for this happy-go-lucky furry friend. The exact origin of this breed is a little bit hazy, and there are more than several assumptions and speculations as to where it all began. Some researchers claim that these dogs are related to the Tibetan or French Mastiff, some believe that they are descendants of the Pekinese, and others speculate that they are the result of a cross breed involving the Bulldog. 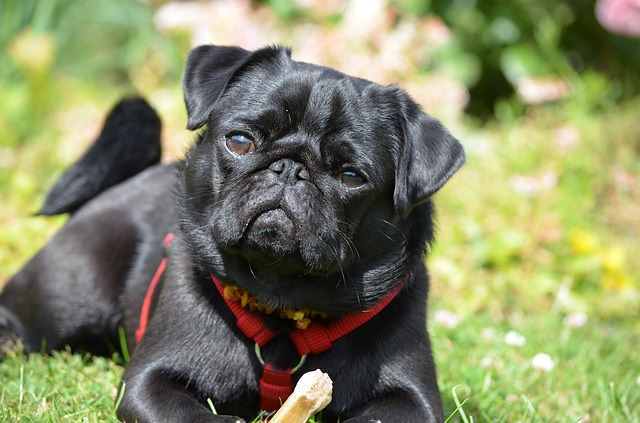 Although it is not crystal clear where the Pug specifically came from, something that is supported and widely accepted is that they one of the oldest dog breeds. They originated in China before 400 BC. Centuries ago, the Pug was bred as a companion dog to ruling families in China, and believe it or not, even the breed's wrinkles were bred for a purpose. These dogs were not only highly thought of by Chinese Emperors, but also greatly valued as well. These celebrated pups lived in luxury, with lavish accommodations, and were even guarded by soldiers. The breed then later spread to other areas of Asia, and Pugs became the pet of Buddhist Monasteries in Tibet. The breed then made its way to Japan and Europe in the 16th and 17th centuries where they were popular in royal courts. Not only was the breed considered a pet of royalty, but actually became the official dog of the House of Orange in 1572 after a Pug saved the life of Prince of Orange by warning him of the approaching Spaniards. Pugs were favored all across Europe by people such as Napoleon and Josephine, Queen Victoria, William Hogarth, and Marie Antoinette. The breed was later introduced to the United States where it was officially recognized by the American Kennel Club in 1885. Although it may be hard to believe due to their comical features, these dogs are actually very intelligent and clever. Training these guys can be a breeze as long as you are sure to fully dedicate and commit yourself to your pup. Since these dogs are so intelligent, they can easily become bored with their training if there isn’t any variety. This is a breed that requires an owner and trainer that is stronger minded than the dog, and ensures that the dog is clear of that as well. If the dog senses that it is stronger minded than the humans, then they have the tendency to become a bit uncooperative and stubborn because they don’t feel as if they have to listen or obey. A dog in training necessitates an owner who is both firm and calm, as well as confident and consistent with the commands throughout the entire training process. This is a critical aspect if you want a well-behaved and well-trained Pug, and it is something to keep in mind when considering this breed. 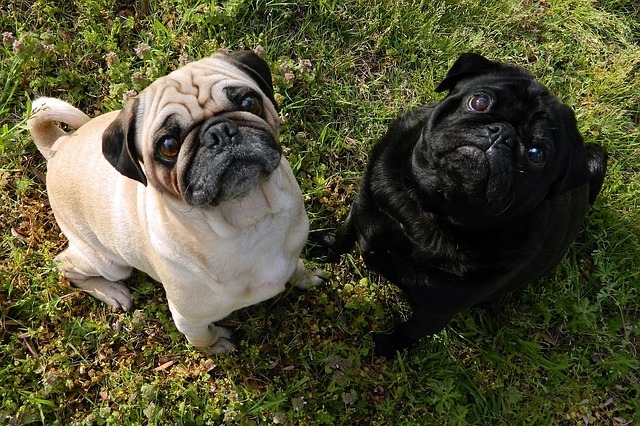 Pugs don’t necessarily require a seasoned dog owner and trainer, and can be cooperatively and easily trained by a novice dog owner as long as they have confidence. If you are not completely comfortable with the training demands of this breed, then you may want to look into a breed that is more cooperative and understanding when it comes to training. Socialization is also a necessity, as it is with most breeds. If possible, start socializing your dog the day it comes home. Familiarizing your dog with a variety of different locations, people, and situations will benefit you and your dog as they age. Pugs with inadequate training and socialization can develop undesirable behavior characteristics such as jealousy and guarding behaviors. Most dogs do well with positive reinforcement and food during training and this breed is no exception, but they are sensitive when it comes to the tone of voice. If you reprimand your pup with a harsh tone, they will not respond to it so harsh punishment is unnecessary. As long as training and socialization are started as early on as possible, you honestly should not have any bumps in the road throughout the entire training process. Pugs actually do make pretty decent watchdogs. They are not yappy and they do not bark a lot, but will alert at strangers, strange sounds, and anything suspicious or out of the ordinary. They are very protective of their family, making them effective watchdogs. 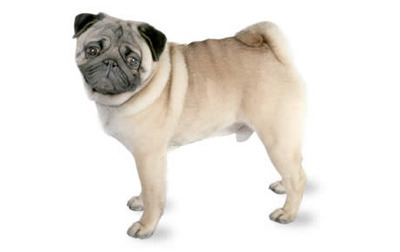 Pugs have a smooth, shorthaired coat, making grooming a simple task. This breed is an above average shedder, and regular weekly brushing will help keep shedding at bay. Baths can be given as needed, but nails, eyes, ears, teeth, etc. should be regularly checked and maintained to keep your dog happy and healthy. The primary focus in this breed is going to be all those face wrinkles. Those wrinkles are airtight, which entails bacteria. A lot of moisture collects in the folds, and they need to be wiped down with a cleansing wipe or cotton ball regularly to avoid infection. Don’t forget to wipe out and dry those wrinkles thoroughly after bathing or any other exposure to moisture. Other than that, grooming tasks that are typical of all dogs would include nail clipping and/or grinding and teeth brushing. Nails grow quickly so they need to be clipped about every couple of weeks. Grinding can be done after clipping to smooth out rough edges that can scratch human skin easily. If your dog resists nail clipping, grinding may be the answer. All breeds are at risk of common health issues, but overall this is a relatively healthy breed. If you have any questions or concerns, contact your veterinarian. A condition of the hip joint where the hip or thigh bones are not formed correctly that results in a loose connection of the hip socket to the top portion of the femur. This leads to pain and lameness and can range in severity from mild to crippling. Very prominent eyes are prone to injury and disease and many of these problems can be prevented with a little common sense. Corneal ulcers and abrasions are very common. Dry eyes occur because of blocked tear ducts and can be treated with artificial tears. Another problem that is genetic in nature is entropion. This problem involves the eyelids where they grow inward touching and irritating the eye. Cataracts are common as well as a condition known as Progressive Retinal Atrophy, where there is a gradual loss of vision leading to blindness. This common problem seen in small breed dogs involves the patalla or kneecap. It occurs when the knee cap (Patella) the femur and the tibia (leg bones) do not line up properly allowing the knee to slip in and out of place. The condition is likely genetic and leads to lameness and eventual arthritis, inflammation and pain. 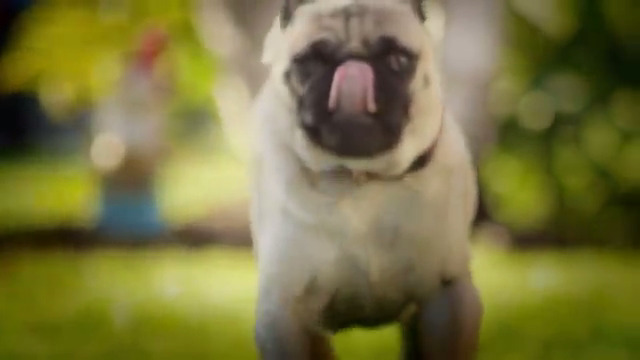 This is a severe brain inflammation that is almost exclusively seen in Pugs. It usually affects pugs in their youth, from 9 to 19 months and is characterized by seizures, disorientation, depression, and difficulty walking. Some pugs will pace in circles continually. Scientists believe that it is an autoimmune response that is hereditary in nature. This is not a disease but rather a syndrome of conditions that lead to problems. Any breed that has a flat face, shortened airway or elongated soft palate. There are other problems that can also be associated with the syndrome include stenotic nares and tracheal collapse. The main problems involve the respiratory tract and brachycephalic breeds are prone to breathing problems. The chance for eye injuries are great in this breed and trauma is the cause of a prolapsed eye. This is a medical emergency where the vet should try to replace the globe of the eye back into place. Eyesight may be regained but the prognosis is poor, often the globe can be saved if immediate action is taken. This breed is especially prone to obesity so it is important from the start to establish good eating habits and regular meal times. It is much easier to prevent than to treat once the dog has gained too much weight. Regular exercise and the judicious use of treats is recommended along with a high quality dog food. We recommend the books below to find out more about raising, training and caring for your dog! Click on the images to find out more. Whether it is their ability to train easily or their natural clownish behavior, you will find that these dogs are used routinely in movies and television shows.